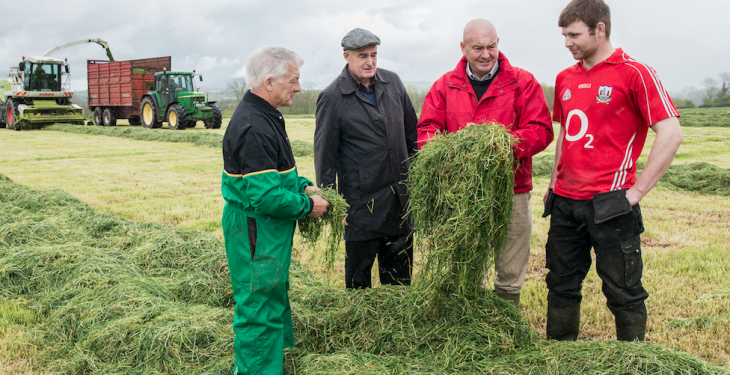 Silage harvesting started this week at Ballindangan, Mitchelstown, North Cork where Ned O’Keeffe farms with his sons Kevin and Pat. Normally they start in the first week of May but this year the mild spring has progressed grass growth. The ground was closed off last October and received organic pig manure, cattle slurry and two hundredweight (cwts) of nitrates per acre. The silage is being treated with Dairygold Goldsile. 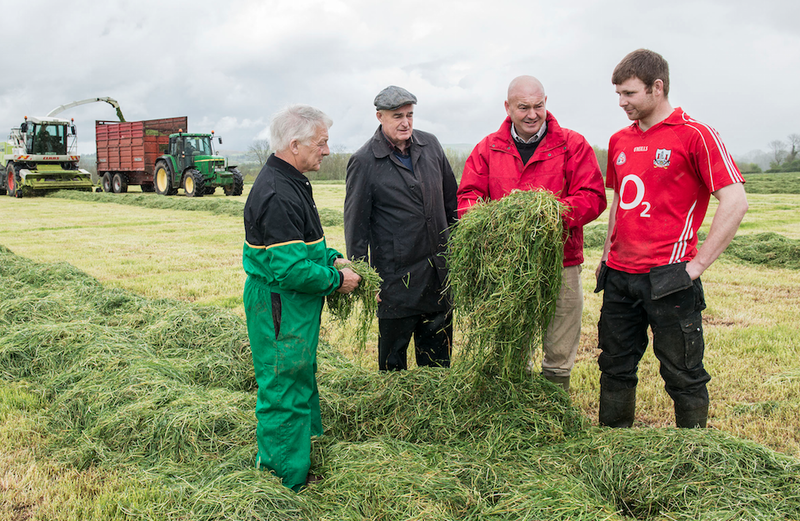 Noel Kinsella working for contractor Robert Coughlan, Glenhulla is pictured harvesting the crop while Robert Coughlan, Ned and Kevin O’Keeffe with Tom Norris examine the grass. Photo: O’Gorman Photography.